It’s been a little while since I made this modern Cascade Quilt which turned out beautifully. I purchased the kit that included all of the fabric except for the backing from the Craftsy website. It was easy to put together and I’ve received many compliments on it. I love the bold colors of the varied fabrics. For the backing, I chose a variegated green fabric. I sent the quilt to a long-armer and asked her to do swirls for the quilting. 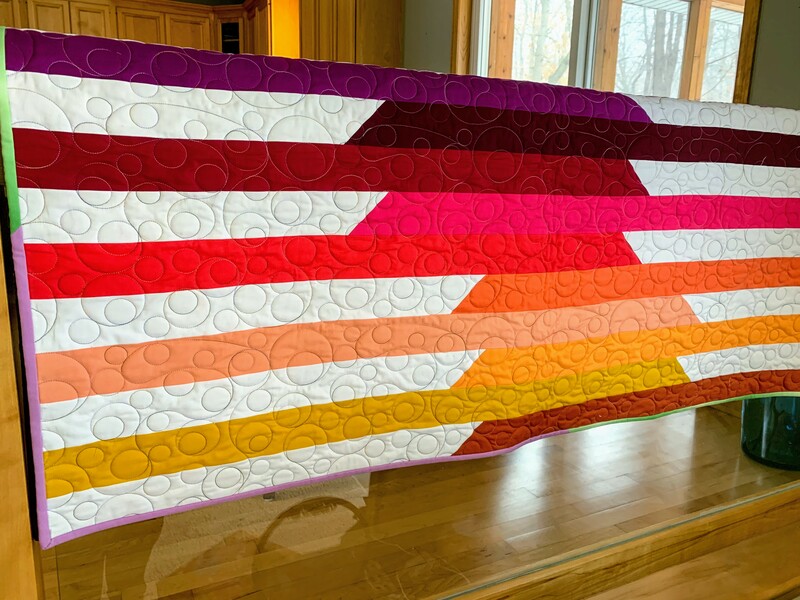 What do you think of this quilt? Do you like modern or more classic style quilts?